As the days getting closer to enter in knockout stage of 2013 IBSF World Under-21 Snooker Championship, pressure started mounting on players to qualify and that also reflecting in their result too. Where matches were ending one sided 4-Nil in the beginning, few are now stretching at full length and getting finishing touch into the deciders. Few upsets have also been there at the end of day 3. 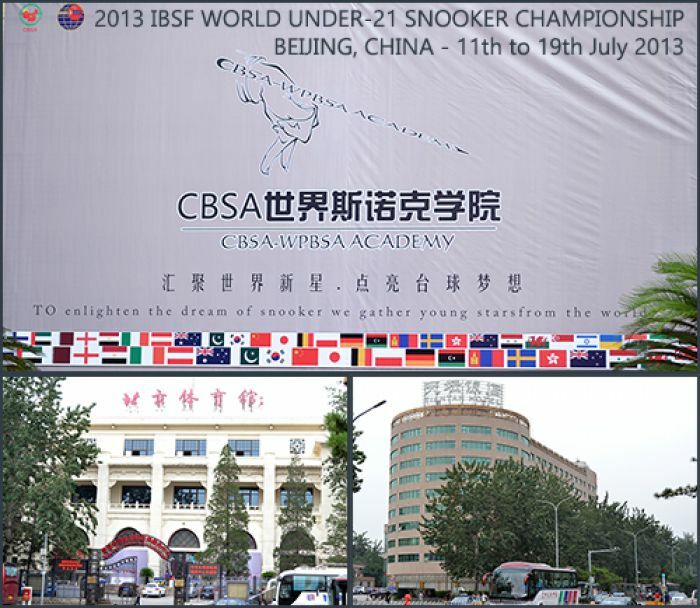 The player from Pakistan, Hamza Akbar, who missed 147 on day one by a whisker, today lost the decider frame to Wang Zepeng of China in the morning session match. He was leading 3-1 at time but a century break of 102 shattered Akbar and couldn't maintain the zeal in remaining frames. However, both the players had different results in their evening matches. Where Hamza defeated Australian player Markus Pfistermuller 4-Nil, Wang lost to Adam Stefanow of Poland in the decider frame. Adam was leading 3-1 when Wang pulled two frame to make it level but had to face a break of 57 by Adam and lost the decider. Another upset in Pakistani camp was when their star player Muhammad Majid Ali lost to Nansen Sin Man Wan from Hong Kong. Nansen played exceptionally well-controlled game in the first two frames and took 2-Nil lead with a break of 51 points in opening frame. However, Majid countered the lead and made that 2-all but failed to keep the momentum and lost the next frame. In the sixth frame, Nansen gave no chance to Majid and his breaks of 52 and 85 points were enough to seal the match 4-2 (71(51)-60, 74-66, 47-71, 30-94, 61-37, 137(52,85)-00). Daniel Dempsey from Ireland also survived 4-3 against Louis Chand from New Zealand. Louis was leading 3-1 when Dempsey geared up himself with a break of 50 points in fifth frame and kept winning subsequent frames. In the decider there was a good rally of safe shots on brown ball where Dempsey succeeded in the end. Rahul Ajay Sachdev from India who had not won any match so far, tasted first win in the competition. He defeated Sam Bond of New Zealand 4-Nil with a break of 62 points in third frame.